Beat your competition on lead follow up and prevent leads from falling through the crack with lead distribution software. 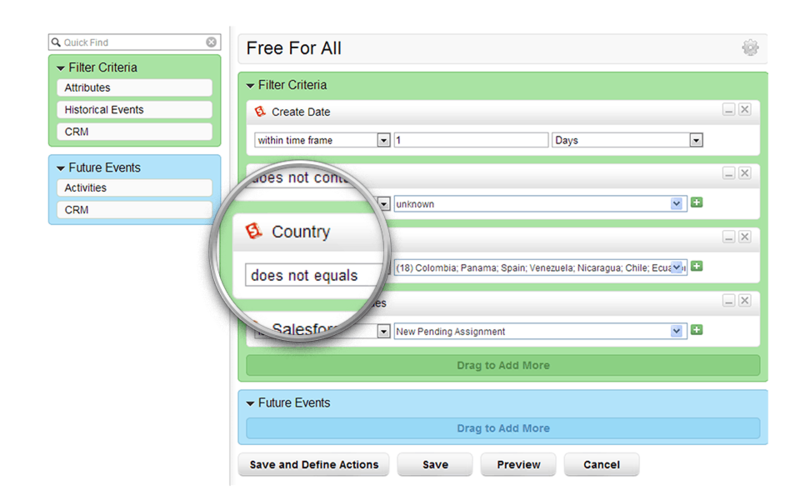 Start distributing leads based on custom criteria in real time. 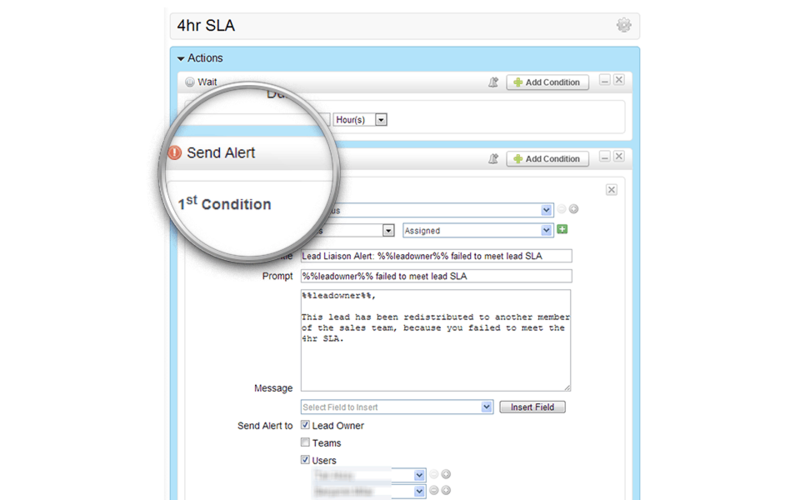 Send real time alerts like text messages when hot leads need to be distributed. Set tasks for sales to follow up with leads. 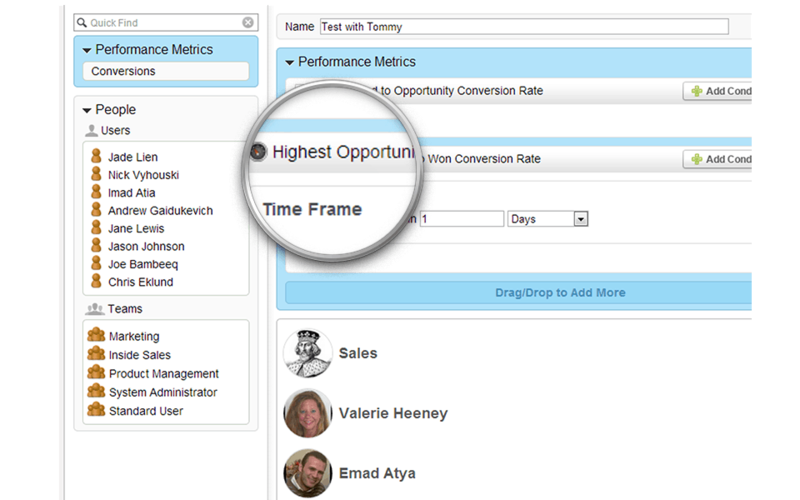 Assign ownership of leads based on pre-established criteria. 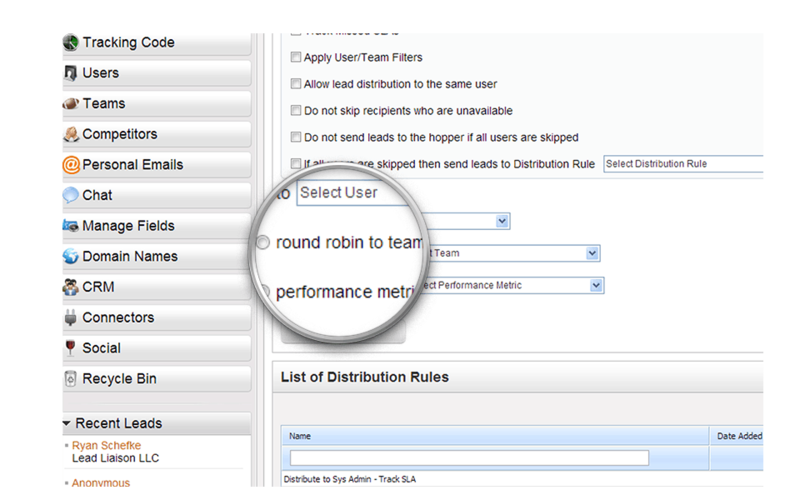 Lead Liaison’s round robin distribution evenly disseminates leads across your organization. Define Teams, such as an inside sales team or outside sales team and share leads across them. Round robin distribution will pass the lead to each rep in group and when each person receives a lead the cycle repeats, back to the first rep. When your reps are on a roll, keep ’em rollin’. 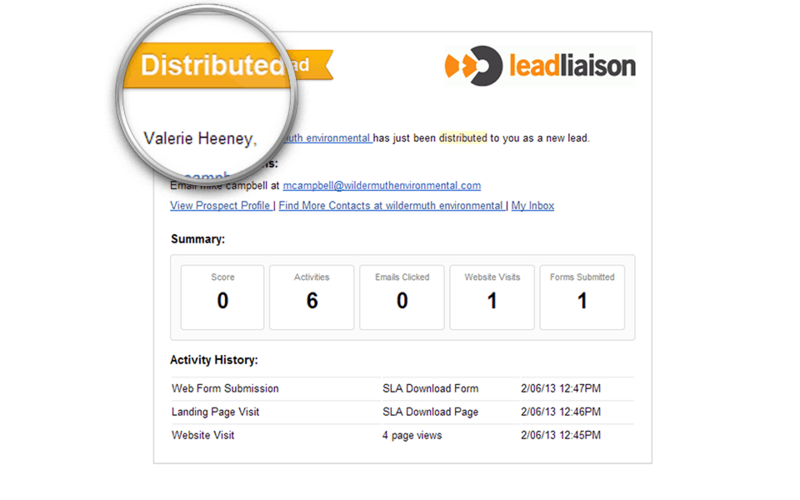 Lead Liaison provides a unique lead distribution method that is based on a sales person’s performance. Two important measures that we look at are number of leads converted to opportunities and number of opportunities closed. Specify time periods and create games in your organization. Let your team know that whoever closes the most opportunities within the past seven days will get new leads. Keep your sales team hungry! Any criteria imaginable may be used to distribute leads. Whether it’s geography, job title, revenue – you name it…plug it into your lead distribution process and choose your distribution method (round robin, performance-based or direct) to send leads to your team. Defining a process creates a systematic, and fair way to distribute leads across your sales team. Sales reps can change their status to being in office or out of office. When an intended recipient is out of the office the system will not distribute the lead to them and move on to the next sales person in the workflow. If the lead cannot be distributed it’s sent to the Hopper. 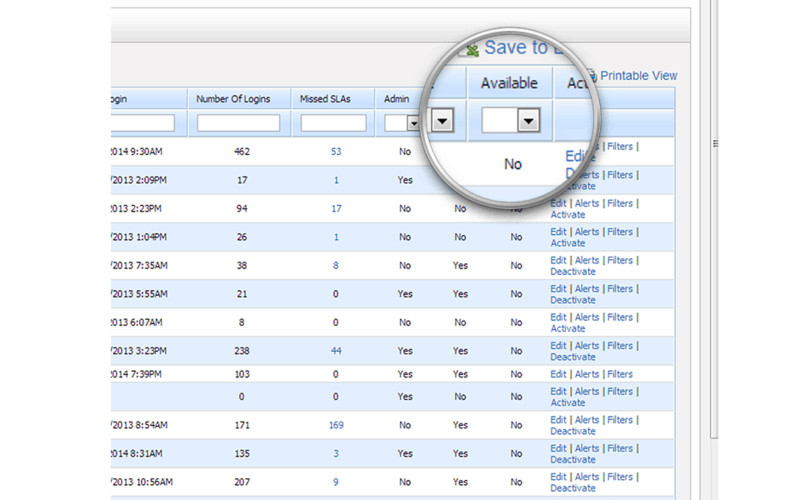 Synchronize in/out status with the login/logout of Lead Liaison. As soon as a lead is distributed your sales representative will get an alert. The rep can choose to receive an alert on their smart phone and/or via email. Included in the lead distribution alert is a summary of the Prospect’s most recent activity which helps the rep prepare for follow up. The Prospect’s contact information is included in the alert to make it easy for the sales person to click the phone number from their smart phone and dial for prompt follow up. Service Level Agreements, or SLAs, are time-bounded requirements for a sales rep to follow up with a Prospect after a lead has been distributed. SLAs hold sales reps accountable for prompt follow up. If a SLA is missed, an alert to any number of folks, such as the sales rep’s VP or the C-suite, can get delivered. Chart missed SLAs to see which reps are underperforming, or overperforming, on lead follow up.